Winter weather does a number on your lips. 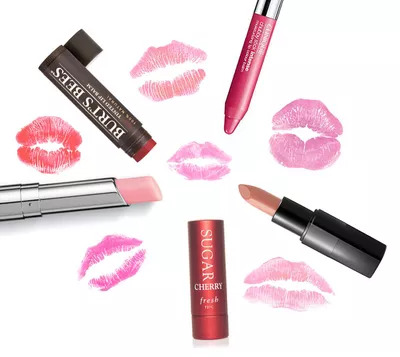 Relieve your dry, cracked pout—without sacrificing style—with these pretty balms. For some tragic reason, winter just won’t end. The results of this seemingly never-ending, excessively frigid season? Our lips won't stop peeling off, leaving a flaky, chapped mess. Sure, you can slather on the Chapstick every 10 seconds, but nothing perks up a tired, weary face quite like your favorite bright lipstick. But let’s be real here, would you really want to lather on a red hot color on top of a painfully cracked pout? Gross. Fortunately, there's no need to choose substance over style. There are a slew of tinted lip balms that quench thirsty, dried-out lips—all while providing a punch of much-needed color. Drying up while on the go? Head to your local pharmacy and pick up a tube of Maybelline New York Baby Lips, which costs less than five bucks a pop. While the bold graffiti-inspired print may appear juvenile, it offers impressive staying power. It instantly hydrates your lips and leaves a healthy-looking sheen that works for the office. Each balm promises to keep lips moisturized for a full eight hours and they come in numerous trendy shades, including classic peppermint for simple shine, to daring, playful neon pink. 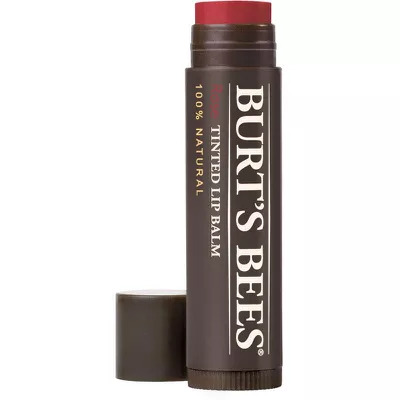 Lipstick addicts seeking much-needed relief from the painful, cracking effects of wintry winds will particularly love this tinted balm. 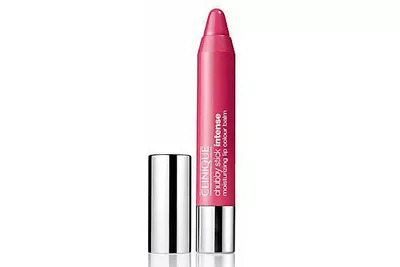 Clinique’s Intense Balm, not to be confused with their much-lighter original Chubby Stick, may look like a giant crayon, but just as the name implies, it actually offers a deep pigment that puts your beloved tube to shame. Not only does it apply smoothly without a lip liner, but as the day passes, the rich color slowly transforms into a luscious lip stain that only requires a minimal touch-up whenever needed. Bold shades, like “plushest punch” and “heftiest hibiscus” are perfect for evening affairs, which means more room to spare in your tiny clutch. 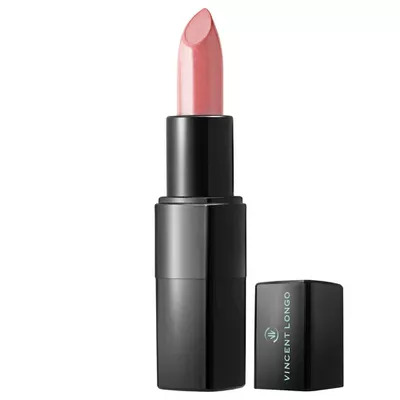 The sleek black packaging on cosmetics designer Vincent Longo’s Baby Balm screams high-end lipstick, but it delivers plenty of soothing properties that only a classic balm can provide. Long-lasting and cashmere soft, the balm/lipstick also features a sheer veil of sheen in a wide array of colors. And unlike your usual goopy balm, this creamy winner feels weightless, all while providing lasting relief. If that’s not enough, it also includes vitamins C and E, along with apricot nut oils to “protect and repair lips from free radical damage.” Have fun easily playing up your everyday style with sinfully seductive shades, like "Amorosa" and "Sheer Contessa." For a more natural look that also emphasizes a plush, kissable pout, you can never go wrong with any of Fresh’s tinted lip treatments. 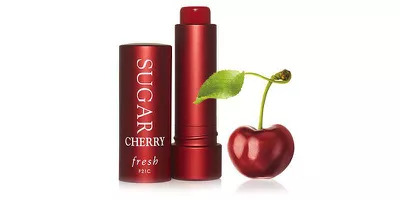 Our favorite, “cherry,” offers a juicy, ripe red tint, all while protecting and smoothing lips with SPF 15, keeping your pucker supple to the touch. Its key ingredient, sugar, is said to be a natural humectant, preventing moisture loss. In addition, the product unites several oils, like meadowfoam and black current seed, to deeply moisturize for up to six hours. Cherry not your color of choice? No problem–Fresh also offers other pretty shades, like “petal,” “rose,” and “berry." A couture product to give your lips extra cushiony love? That’s exactly what you’ll get from Dior’s color awakening lip balm, which promises to react directly with the unique chemistry of your lips to release a custom tint made to enhance your pout’s natural hue. In return, your lips will appear revived, luminous, and baby soft. Yes, it does come in only one shade, but because it adjusts to your lip color, it flatters all skin tones. Ingredients, “enriched with wild mango and luffa cylindrica” are added to give your pucker a punch of moisturizer, keeping them smooth and kissable during the harshest winter months. 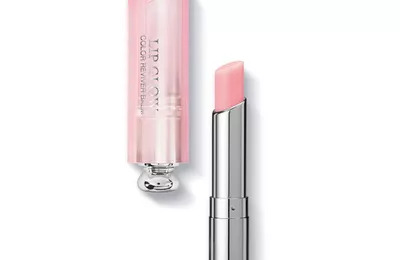 Sure, Dior’s take on lip balm is pricier in comparison to others, but think about the endless fun of letting others watch your lips magically change colors.